Peter Cave Shores is a popular community here on Rough River Lake. At this lake home you will find seclusion and privacy galore! This three level home has a lot to offer. Here at 3115 Lewis School Rd you will have room for multiple families. This 4 bedroom, 3 bath lake home has two large living areas inside for gatherings. Plenty of room for the kids to play in the spacious back yard while the adults drink sweet tea from the screened in back porch or open upper level deck. Ride your golf cart or take a short, easy walk down a gentle slope to the lake. No steep stairs on the way to the dock! 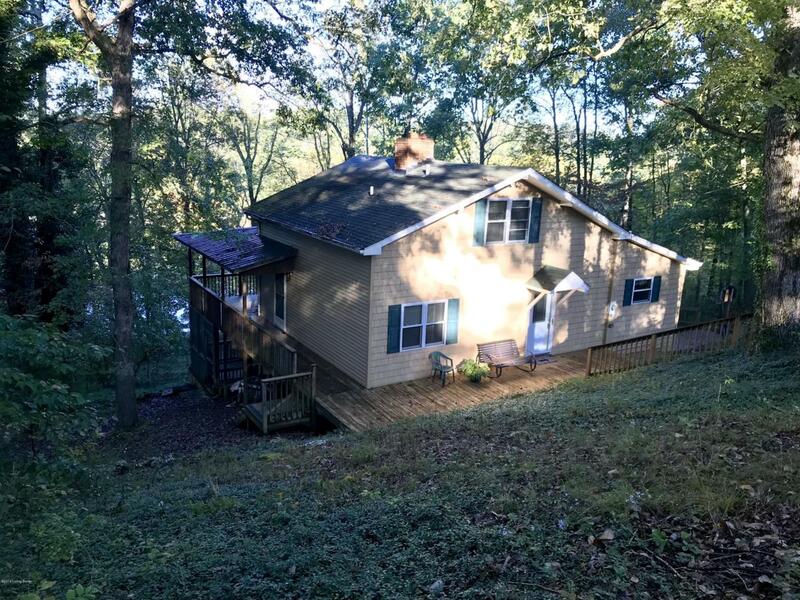 This lake home doesn't have to be limited to summer months, make this home a year rough getaway. In the cooler weather you will be able to enjoy they coziness of not one but two fireplacesAs the leaves start to fall the view of the lake will only get better. Don't let the cool weather stop you from coming to take a tour. Most furnishings are negotiable with a full price offer. This home has plenty of room for storage, two central heating & air units, city water and a septic system. Dock to transfer per COE approval.